R&S Erection of Concord > Blog > Strip Doors > 5 Reasons to Install a Strip Door ASAP! 5 Reasons to Install a Strip Door ASAP! Drat those flies! Darn that heat! Curses to the cold! Cough; Gasp; can someone say, “carbon monoxide poisoning? Good Grief – have you taken a look at that energy bill lately? If you work in a warehouse or industrial park, odds are your building has a rolling or sectional door for easy access and deliver- or ship-ability. The problem? That huge gaping hole is letting out all your air-conditioned air in the summer. It allows cold wind and rain to gust in during the winter months. In addition to employee and customer comfort, your energy bills are through the roof! Strip doors are a shockingly simple solution to a range of problems experienced by business owners who have to open large expanses of their business to the outdoors, or who have refrigerated spaces accessed regularly by employees – which creates energy-waste and safety concerns when it comes to the quality of your product. 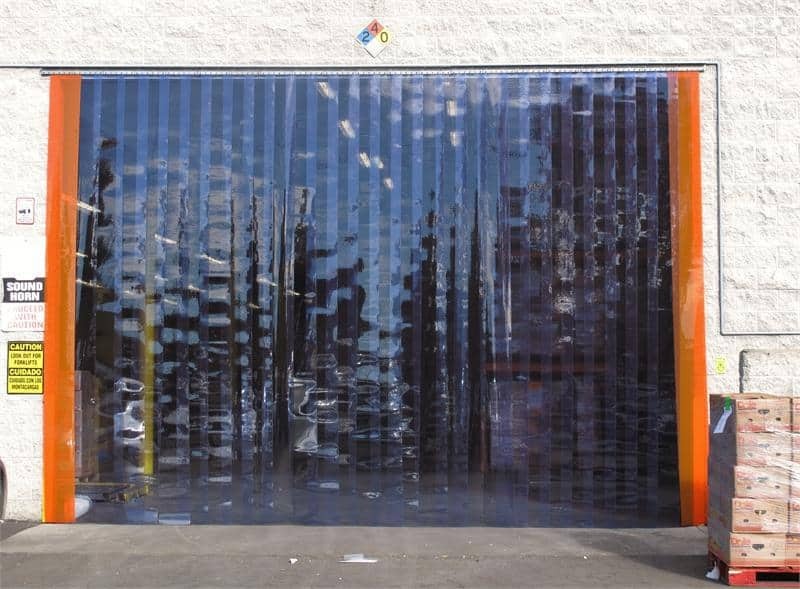 Just to be clear, strip doors are thick sheets of plastic, PVC or vinyl that are cut into pliable strips and customized to fit an opening. Typically, they are used to eliminate drafts, noise, dust, rain, and fumes. They can also save you significant money on annual energy bills. These energy bills are killing us. Lowering energy consumption, and thereby energy spending, is one of the largest driving forces behind most of our clients’ interest in strip doors. These are one of the cheapest ways to minimize energy waste, acting as a barrier between areas with two different climates, be that indoor/outdoor space, refrigerated spaces/non-refrigerated spaces or to separate hot, humid, greenhouse space from the rest of the interior. When measured and installed properly, a strip door is always closed – yet it allows easy entry/exit to people and equipment, without anyone having to open or close “the door.” It can prevent up to 80% to 90% of air loss that occurs when that same, conventional doorway is left open or ajar. It’s too noisy in here! Is noise an issue? Would you like to find a way to isolate exterior noise from the interior? Or perhaps even isolate the noise from one area of your warehouse from another? There are all kinds of ways we can implement strip doors to provide a little noise insulation. The highest-quality products have been shown to minimize sound by as much as 17 decibels in certain applications, which can make a big difference. Feeling light headed again? Air pollutants can feel like the norm when you work in an industrial park. Even if you aren’t the ones creating the pollutants, fumes can drift in from the neighbor’s delivery bay to yours, dust is a constant presence, and birds and/or flying pests can be a nuisance. After your strip doors are installed, you’ll be able to maintain a cleaner and more efficient work environment by preventing the movement of fumes, pests, dust and other contaminants from one area to another. You feel like you work in a cave. Humans are sun lovers. We are designed to work and play under the rays of the sun. Unfortunately, warehouses aren’t always able to offer natural light in abundance. In addition to affecting worker performance and emotional well-being, it also means having to fork out extra money for lighting costs. With strip doors, you can leave your rolling door wide open, and enjoy a little extra sunlight while you’re at it. Interested in obtaining a FREE estimate for strip doors at your Bay Area business? 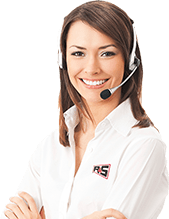 Contact the pros at R&S and we’ll make it happen.